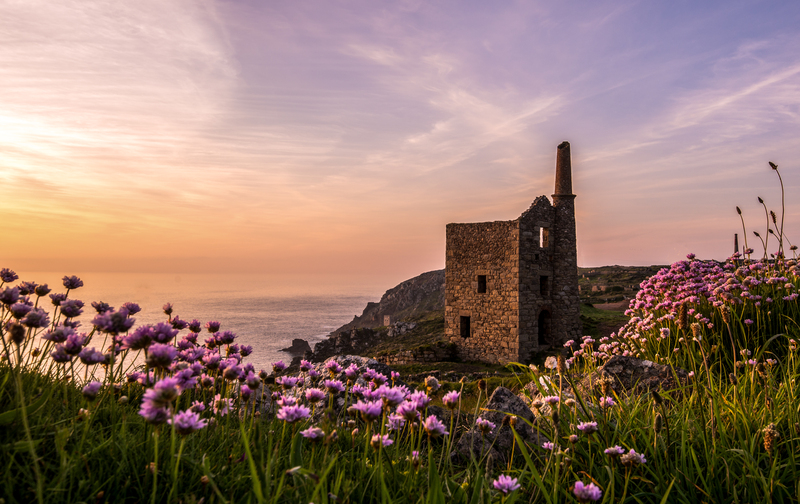 Our walk of the month takes in the stunning tin mines of West Cornwall around Levant, Botallack and the crowns. It’s an easy 3-mile walk through a patchwork landscape of tiny fields bounded by ancient stone walls and dotted with iconic mine chimneys and engine houses. The Botallack Count House and the world-famous Levant Beam Engine have both been restored by the National Trust and are key monuments in the Cornish Mining World Heritage Site. Pictued above the Wheal Owles mine at Botallack, which was closed in 1893 after a disaster in which 20 miners died. It stands among several other engine houses to remind us of Cornwall’s prominent role in our industrial past. Next Next post: One of us was more keen than the other!